Four IAMAW members learn/improve their Web site training for their local lodges. Its a new day and a new look! 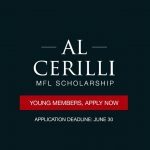 The Al Cerilli Manitoba Federation of Labour Scholarship is a $500 award presented annually by the MFL Young Members Committee to a member of an MFL affiliated union enrolled in a continuing education or post-secondary program. In selecting each year’s recipient, the MFL Young Members Committee looks for the applicant demonstrating the most significant record of activism in the labour movement and a commitment to continuing labour activism into the future. 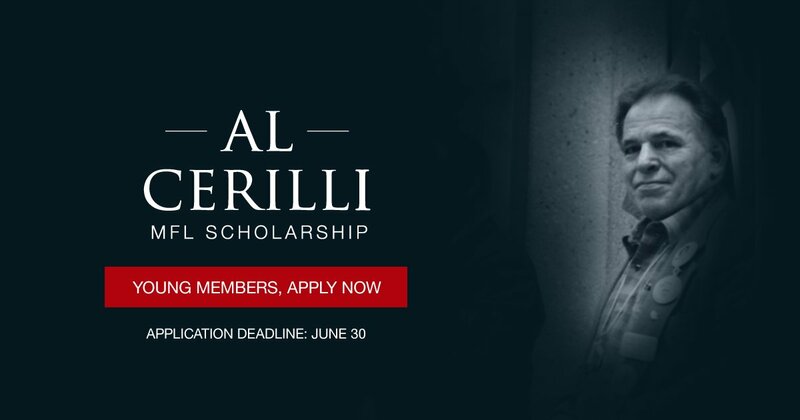 The scholarship is named in honour of Al Cerilli, a long-time activist in the Manitoba labour movement. The application deadline for this year’s award is June 30, 2017. The NDP is raising fears the Pallister government could weaken protection for workers over air quality and exposure to toxic chemicals. Labour critic Tom Lindsey said Wednesday that Growth, Enterprise and Trade Minister Cliff Cullen has ordered a review of workplace safety and health regulations by June 30. That’s exactly why he’s having the regulations reviewed, Cullen said. “We believe there was a flawed process under the previous (NDP) government,” the minister said. “We are very alarmed that the minister has ordered that the current process for protecting workers from chemicals and other hazards should be weakened,” Rebeck said. “We are strongly supportive of Manitoba’s existing automatic adoption rule, which requires employers to ensure that workplaces stay up to date with the latest science and recommendations from the American Conference of Governmental Industrial Hygienists. When the experts tell us that workers will be harmed if they are exposed to chemicals and other hazards, we need to listen and ensure that protections are put in place without delay. “When we know something is hazardous, it is inexcusable, and potentially criminal, to not take protective action,” Rebeck said. Manitoba’s public sector unions were working double-time Monday evening to stop the passing of two bills that will make sweeping changes to collective bargaining under the Pallister government. Dozens of delegates lined up at two separate committee hearing rooms at the legislature to have their final say to government on two contentious labour bills before they become law in the coming months. Union representatives ranging from Doctors Manitoba and the Manitoba Nurses Union to the Manitoba Teachers’ Society spoke out against Bill 28, which effectively takes wages off the bargaining table and institutes a two-year wage freeze for all future collective bargaining agreements. Across the hall at another room, more gathered to speak out against Bill 29, which seeks to chop the number of bargaining units in the health sector from 183 to seven. Representatives such as Manitoba Nurses Union president Sandi Mowat played double duty, speaking at both hearings. The contract for Manitoba’s 12,000 nurses expired in March, making it one of the first collective agreements to test the bill that will mandate two years of freezes, followed by a 0.75 per cent raise in the third year, and one per cent in the fourth. Mowat wouldn’t confirm that a legal challenge is in the works if the bill becomes law, but said her union is looking into the idea. Manitoba Teachers’ Society president Norm Gould called the bill “Draconian” and said it contradicted promises made by Premier Brian Pallister that he would consult with unions before passing such legislation. The committee hearings allow for private citizens to speak to government officials in a public forum and offer suggestions for amendments before the bills reach third reading and then become law. Over 30 delegates were scheduled to speak at both meetings, with Finance Minister Cameron Friesen speaking for government at the Bill 28 hearings and Health Minister Kelvin Goertzen at the head of the Bill 29 hearings. While the vast majority were speaking in opposition to the bills, the government had a cheerleader in the Canadian Federation of Independent Business. Its director of provincial affairs, Jonathan Alward, presented in favour of the bill, saying all Manitobans are bearing the brunt of a massive deficit and something has to give. “Today’s deficits, today’s growing debt, are going to translate to tomorrow’s tax increases,” he said. “We must do our very best” to fix that, Pallister said Monday. Pallister has previously said a one per cent increase in public sector salaries costs the government $100 million. As for limiting collective bargaining units, Goertzen told CBC News last week that the measure will bring Manitoba in line with the rest of Canada. He said British Columbia has five collective bargaining units. In Saskatchewan there are 14. Bill 29 would drop the number in Manitoba to seven from the current 183. 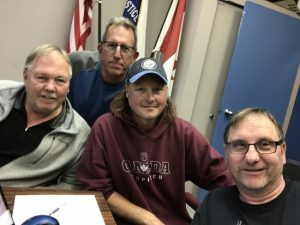 “There is so many different bargaining units, which means there is so many different labour agreements, which means every time somebody is trying to schedule somebody … or ensure there is proper coverage in a hospital or on a ward, we have to check to make sure that the individual collective agreement allows somebody to do it,” Goertzen told CBC News. The bill also would lead to the appointment of commissioner who could supercede rulings by the Manitoba Labour Board and would not be accountable to legal challenges. Mowat said she didn’t understand the need for the bargaining unit bill, explaining that most of the units in the health care system bargain together. She also said it would also further disrupt a health-care system that is already in the midst of a major revamp with the closing of three emergency departments in Winnipeg. “To get all these health-care unions to have to have runoff votes is not something we need right now when the health-care system is already pretty disrupted,” she said. She described it as “interesting” that the government would appoint a commissioner. “We will have to wait and see what the regulations say at the end of this,” she said of the appointment. With only four days of notice, the Pallister government called to committee Bill 33, the Minimum Wage Indexation Act, for debate this evening. 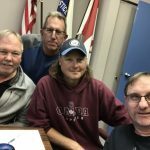 [Manitoba Federation of Labour] President Kevin Rebeck made a submission on behalf of 100,000 unionized workers across Manitoba. Bill 33 was introduced after the Pallister government last year refused to increase the minimum wage — one of only two provinces to not raise the minimum wage in 2016 — leaving full-time minimum-wage earners $400 worse off. Manitoba’s minimum wage falls far short of what working families need to meet their basic needs. Statistics Canada’s most recent (2014) calculation of the low-income cut-off (LICO) reveals that Manitoba’s current minimum wage of $11/hour falls $4.53/hour short of the poverty line, let alone a living wage. “Indexing the minimum wage at what is already a poverty wage will ensure minimum-wage earners can never escape poverty. Annual indexing can make a difference but only when it’s applied to a base wage that’s already a living wage,” said Rebeck. The Manitoba Federation of Labour is deeply concerned about the Pallister government’s new budget. In the election, Premier Pallister promised to protect front-line services and respect the people who deliver them. Today’s budget breaks that promise, with serious cuts to public services that families count on every day. Legislates wage freezes and wage caps, well below increases in the cost-of-living, without even coming to the bargaining table and trying to reach a deal. Budget 2017 also marks the second year in a row that the Pallister government has failed to raise the minimum wage. At only $11/hour, Manitoba’s minimum wage falls fall short of a living wage for working families. “Working full time should be a clear pathway out of poverty”, said Kevin Rebeck, President of the Manitoba Federation of Labour, “but at today’s rate, minimum wage keeps working families trapped below the poverty line.” A full-time minimum wage worker will be actually be $800 worse off as a result of Pallister’s minimum wage freeze, due to the effects of inflation on reduced purchasing power. Under questioning from stakeholders and the media at today’s budget scrum, Manitoba’s Finance Minister, Cameron Friesen, refused to give any assurance that public sector jobs would be protected. The Manitoba Federation of Labour is Manitoba’s central labour body, representing the interests of more than 100,000 unionized workers from every sector, in every region of the province. The Canadian Labour Congress is celebrating today’s announcement that the federal government is banning the manufacture, import, export and use of asbestos. “Canada’s unions, along with survivors and health advocates, have been working hard for this ban for decades. We know this will strengthen occupational health and safety protections for workers and make workplaces and public spaces safer for everyone,” said Yussuff. This year, Canada’s unions redoubled their efforts to win a ban on asbestos, releasing a powerful video on Labour Day and staging a captivating holographic installation at West Edmonton Mall in October to raise awareness of the need for a ban. More than 2,000 Canadians die every year from diseases caused by asbestos exposure such as mesothelioma and lung cancer. Experts estimate that 150,000 Canadians are exposed to asbestos at work, particularly in industries like construction, automobile maintenance, shipbuilding, trade contractors and waste management. “Because these diseases have a long latency period, the danger is not over, but this is the beginning of the end,” said Yussuff. “Now we need the provinces and territories to show the same leadership that the federal government has shown and move quickly to take stock of where asbestos is, harmonize regulation around disposal and remediation, and ensure a comprehensive health response,” he added. Yussuff also emphasized the need for governments to work with First Nations to address high levels of friable asbestos in on-reserve housing. “We must ensure we move to protect everyone living in Canada from exposure, including those living in First Nations housing filled with asbestos-ridden vermiculite insulation,” he said. “This week’s announcement from the federal government is the result of years of advocacy and hard work by people dedicated to safer, healthier workplaces. Today, I celebrate with them and thank them for giving the next generation of Canadians a better future, free from the pain and suffering caused by asbestos,” Yussuff said. Medivan Transportation provides 24/7 non-emergency transportation for health care system clients. The stretcher service ratified a new agreement on November 23, 2016, collectively bargained by Local 2247. The District Executive Board and the Negotiating Committee would like to thank all members who took the time to participate in this important process. 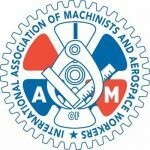 Aircraft Maintenance Mechanics represented by Local 2247 ratified a new agreement with Keewatin Air on October 22, 2016.